With more than one Billion populations in India, with more than 700 Universities, we are able to provide higher education to the tune of 10 million. Both the State and Central Governments are making earnest effort to increase the reach of education to a larger audience. With the private participation we could see a phenomenal change in the quantum being educated. However the quality of education offered is below the desired level. Our analysis indicate that the B.Tech Programme’s quality is better in institutions where post-graduate programme and doctoral programmes are offered. Government is making regulatory measures to improve the quality of the institutions. However, we have thought about promoting quality on a voluntary basis. This idea resulted in the establishment of the Academy as a non-profitable and charitable institution. This institution has been registered with the Government for providing 80G tax benefits for those who contribute for the promotion of this academy. Leading academicians are there in the Board of Governors. The name resembles to that of CommonWealth Countries. I wish to emphasize the fact that this academy has nothing to do with the commonwealth countries. “This academy pools the wealth of Knowledge in Science and Technology for the promotion of Research”. 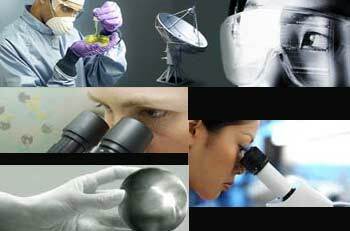 There are around thirty two academic institutions that have registered with this academy as partners to avail the beneficial schemes to promote research. 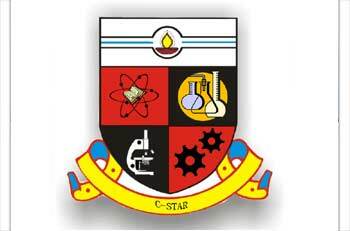 To start with there are Nine Higher learning Institutions of National Importance who join hands with C-STAR to promote the objective. Promotion of research in academic institutions have come under severe stress and strain because of the non availability of resources such as qualified faculty and quality resources such as Library and Laboratory facilities. In the teaching-learning process, it has been a teacher centric so for. With the advent of Internet and Information technology, the teaching – learning process has undergone a sea change. Changing complexities of teaching – learning process, the changing complexities of the definition of Student, obsolescence that pervades the educational system, advent of new technologies that make the educational system obsolete and the changing educational environment make the educational process a more complicated one. The effort of the Academy is to embark on various research methodologies to overcome the challenges and offer an affordable educational environment for both the teacher and the taught. It is a fact that the academy will take note of changing complexities and provide dynamic solutions in order to keep the teachers in the academic forefront. Around thirty two institutions have joined this academy as partners to tackle the complexities and challenges in order to strengthen the foundations of educational process. With the advancements in technology and with the evolution of new technologies and innovations, this academy makes attempt to provide a long lasting sustainable solution that is strong in foundations and dynamic in nature, which would promote quality higher education. This academy is the pool of scholars, teachers, innovators, policy-makers and the students and it is other wise known as the commonwealth of knowledge to achieve solutions for the complex challenges that the educational institutions are confronting with. Evolving sustainable solutions to continuously improve the quality in the educational process is the motto of the academy. Dr. Promod Vohra, Dean of Southern Illinois University has agreed to be in the Board of Governors and agreed to serve as Vice Chairman (USA) Dr. Zenon Podlowski, Chairman, World Institute for Engineering and Technology Education, Australia has agreed to be in the Board of Governors and to serve as Vice Chairman – Australia for C-STAR. 9.	International Centre for Genetic Engineering and Biotechnology, New Delhi – represented by its Director Dr. Sunil K Lal. The task before the academy is many fold. However your golden touch on the inauguration would definitely provide a Philip for the activities of C-STAR. You have also agreed to provide us lectures through video conferencing for the students, academicians and managements in furthering the quality of higher education. It is really a bonanza for the academic community. Since the inception, the academy has been organising Guest lectures by Adjunct Professors of the Academy – Dr.B.Venkatesan from Japan has delivered Guest lecturers on Led’s and their innovative applications. Dr. Ash M.Parameswaran, from Canada has delivered Guest lectures on MEMS Technology and has provided enough linkage for furthering research activities in the same area. Recently, on behalf of C-STAR, we have presented a technical paper on “Enriching Research in Academic Institutions” at the World Institute for Engineering and Technology education conference held at Thailand. A new concept was presented at the conference. The conference organisers have earmarked a separate session to discuss the same. Our academy has been striving for promoting research. We should also have a mechanism to measure the progress in research. This can be done through Accreditation. In the international arena there are Accrediting agencies to accredit the undergraduate and postgraduate programmes. However there is no agency for accrediting research and research institutions. This was the new concept presented on behalf of C-STAR and the same has been accepted. Accordingly “World Accreditation Council for Research” was jointly formed by signing the accord by academicians from Ten different countries. Part of the work done by Punjab Technical University, Anna University, Chennai and NIT Warrangal has been taken as input to make our case stronger for emphasizing research. Credit should go to Dr.Y.S.Rajan, the then Vice Chancellor of Punjab Technical University; Dr.Y.V.Rao, Director NIT Warrangal; and Anna University Chennai. Culmination of work done in the above three institutions has resulted in the formation of World Accreditation Council for Research for which C-STAR is the convenor. 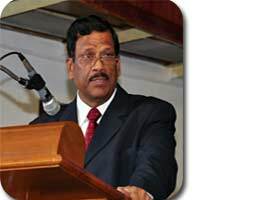 Dr.S.Rame Gowde, Former Chairman of AICTE has major role to play in the formation of World Accreditation Council. Dr.S.Rame Gowde has the distinctive credit of making `Washington Accord’ viable for India. His role will significantly help in the establishment of the `World Accreditation Council for Research’ Ten countries are signatories to this accord. This council has started functioning from 23rd February 2010. Initially we will be working on the logistics of the Council and thereafter we will work on the regulatory procedures. It is a significant Accord signed on February 23rd 2010 at Thailand. This will be a unique council to monitor the progress of Research and provide necessary input in furthering the cause. 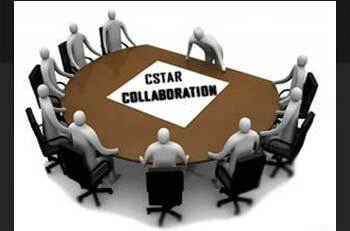 It is a big success for the academic world in general and bigger success for the C-STAR in particular. It is a victory for all the academicians from India that the concept generated from India has culminated into the establishment of “World Accreditation Council for Research”. It is an important milestone for the C-STAR, for the academics and for the research and research institutions as a whole. On this occasion, I wish to convey on behalf of the Board of Governors and the Academy our heart felt thanks for those who are supporting our cause and for those who would support our cause in the future too. In advance I wish to convey our happiness that our Honoured Alumnus of Anna University and His Excellency Dr.A.P.J.Abdul Kalam is inaugurating this Academy – a long felt dream for our academy and a fitting tribute to research community. I on behalf of the Board of Governors welcome the Director(s) of NIT’s, NITTR and Vice Chancellor of Kuvempu University, Vice Chancellor of Jawaharlal Nehru Technological University, Hyderabad, Vice Chancellor of Anna University, Director, International Centre for Genetic Engineering and Biotechnology, New Delhi and other distinguished guest for the Inaugural function. Special welcome to the Press and the Media who will carry the message to the Academic World.